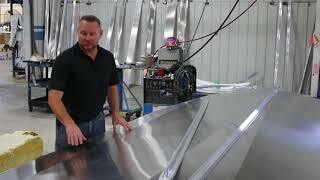 Our boat-builders share a passion for the outdoors, and the time they spend on the water drives your pursuit of building the perfect aluminum boat. The high-quality materials. The superb fit and finish. 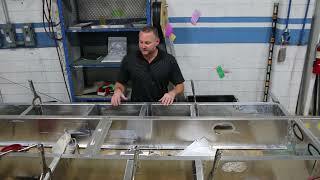 You can tell right away that these boats are built in the U.S.A. by the top craftsmen in the industry. 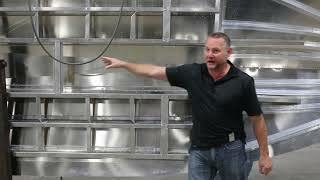 In fact, the average Polar Kraft builder has more than 20 years of experience. That's quality you can count on. We employ formed aluminum reinforcement that is spot welded to each lid. This maximizes stability and provides rock-solid support. We use only heavy-duty 18 oz. marine-grade carpet. It is the most durable marine carpet in the industry and looks fantastic. Our ultra-durable paint stands up to water, UV rays and chemicals. We don't just spray. We spray and bake our finishes. Every available cavity is filled with urethane closed-cell foam flotation. It dampens sound, stiffens the hull and adds extra floor support. It also minimizes water absorption that could add to the boat's weight and won't break down if exposed to gas or oil. We cut our aluminum with a computer-assisted plasma torch. This produces extremely precise cuts that produce meticulous construction consistency. Six aluminum marine-grade I-beams running along the boat's length are combined with transverse bulkheads to produce torque boxes throughout. That's Polar Kraft tough. You'll ride high and dry with Polar Kraft's B-Force V-Hull with Torque Control Design (TCD). Torque control increases stability, sharpens maneuverability and accelerates on-plane performance at cruising speed. Provide superior support and comfort, even at high speeds and on rough waters. MarineDeck PTP, with a lifetime warranty, is a superior decking material which will not rot, bend or dent. Our coaming tops can handle any down rigger, thanks to extra durability from heavy-gauge aluminum construction, gussets throughout and the use of MarineDeck PTP as a backing. Consistent hull performance is achieved by our torque box's longitudinal stringer system. it is designed for maximum support of the running surface by directing the load and energy across the complete under-structure. The construction of our dual power bar transom counteracts the twisting action of the engine's weight and thrust, transferring this torque energy across the boat's entire hull. Hull rigidity, consistency to the water surface and energy dispersion when hitting a wave are controlled by eight aluminum hat channel ribs tied to the longitudinal stringer system. Four aluminum lifting strakes in the hull give bow lift, improving overall maneuverability. Reverse Chine creates increased stability, faster on-plane performance and more responsive turning and handling. No matter what the water or the weather might throw at you, Polar Kraft's Modified V-Hulls will always run smooth and dry. With a lifetime limited warranty, you might even say these hulls are in a class of their own. The custom molded helm console features a quick release windscreen which detaches easily and makes cleaning a breeze. Custom extruded aluminum V-stem reinforces and protects our 0.100 all-welded hulls- and it provides tough impact protection for beaching. No screws or rivets used for fastening - just 100% welding of aluminum to aluminum for many years of boating and a lifetime limited warranty on the weldments. The gunnels are made from a heavy-duty aluminum extrusion which strengthens while it helps shape and reinforce the hull. Catch Bigger Fish. Polar Kraft gets you to where the competition can't. Selection. With more than 70 different models, Polar Kraft has the right boat for you. Best Ride. Aluminum spray rails means you're riding high and dry in a Polar Kraft. Hardware. Polar Kraft uses only the highest quality hardware on the market. Heavy Metal. All Polar Krafts are made with top-quality 5052 marine-grade aluminum. Attention to Detail. Polar Kraft uses incredibly precise construction techniques. Stronger Stringers. Heavier, wider, stronger ribs mean Polar Krafts can take a pounding. Aircraft-Grade Rivets. Large rivets = stronger rivets = fewer rivets = structural integrity. Tough Paint. Upgraded industrial paint means lasting shine and easy maintenance. Single-Plate Hull. Lighter boat means great handling, better fuel economy. 1951: The Polar Kraft aluminum boat legacy began in Memphis, TN, by first making awnings and three-wheel ice cream stands from aluminum. 1954: Polar Kraft moved to Olive Branch, MS, and built its first 14' long, 36" beam utility boat (model 1436), by cutting the aluminum with handheld shears. 1956: Introduced a revolutionary hull construction process for jon boats using a flex rib system with double transom brackets, corner braces, gussets and horizontal ribs. 1977: Became a pioneering force in Jon boats with its innovation leading to a wide range of affordable, heavy-duty jon boats specially engineered for rough water applications. 1980: One of the first aluminum boat builders to use a longitudinal stringer system and torque boxes in hulls, providing even energy distribution throughout entire boat. 1981: Introduced industry's first aluminum modified V with a 6-degree dead-rise hull for better hull strength, tracking, and a drier, smoother ride. 1983: Polar Kraft was purchased by Godfrey Marine. 1985: Polar Kraft develops Parti-Kraft pontoon line. 1989: Introduced reverse chine hull and lifting strakes to improve water management and hull efficiency. 1992: Introduced the popular Bass America series. 1997: Introduced the all welded aluminum Sportsman series, a full featured, modified V fishing boat. 1998: Polar Kraft incorporates wood free construction in all modified V and flat bottom boats. 2001: Polar Kraft moves to Syracuse, IN- building boats in the same facility and with the same experienced workforce who built OMC's Sea Nymph and Sears' Gamefisher boats for decades prior. 2002: NextWave plug-and-play electrical system is introduced which is used today on virtually all Nautic Global Group products. 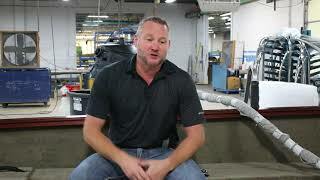 Polar Kraft introduces Kodiak and Outlander deep V boats. 2003: In a two year period Polar Kraft introduces over 80 advanced engineered boats to satisfy the needs of every outdoorsman. 2006: Polar Kraft is acquired by Nautic Global Group, one of the largest boat manufacturers in the world. 2009: Polar Kraft introduces the TX series of Bass boats. 2010: Received Excellence in Design Award for outstanding structure, functionality and VALUE in its boats.